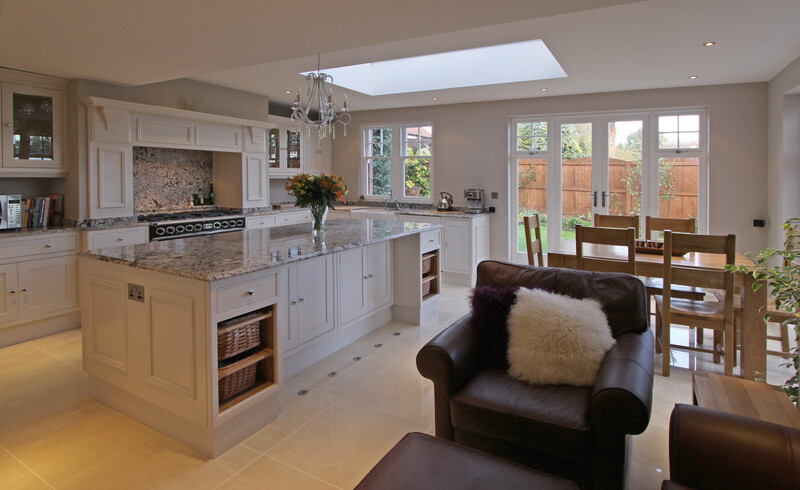 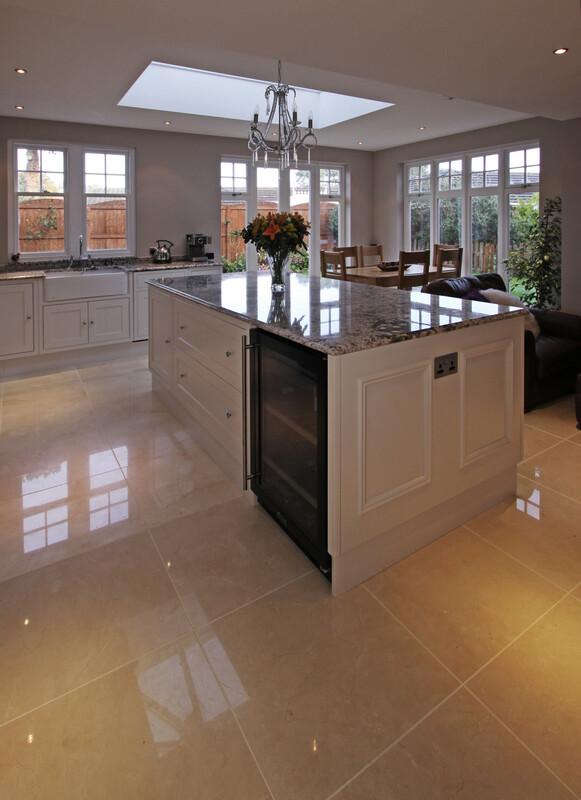 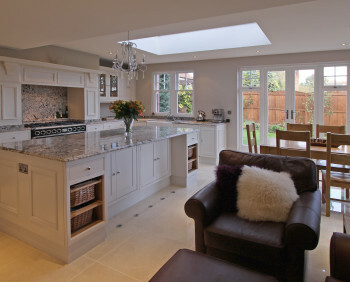 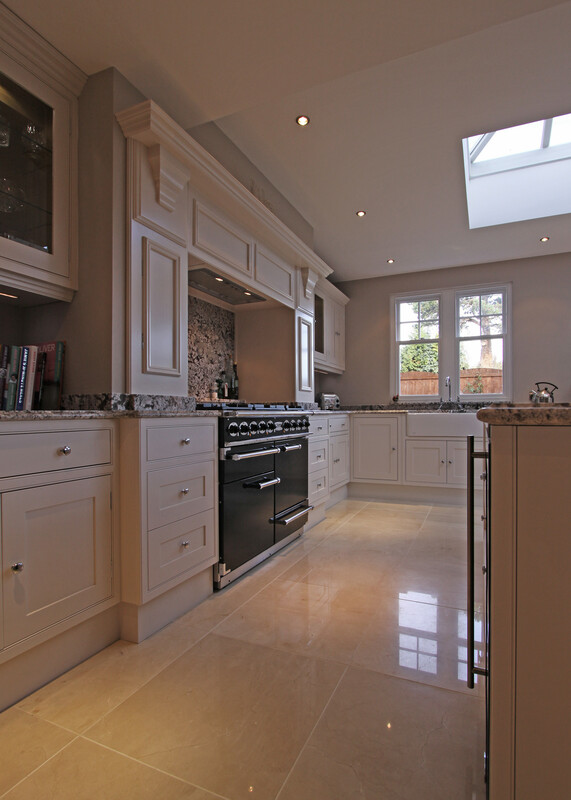 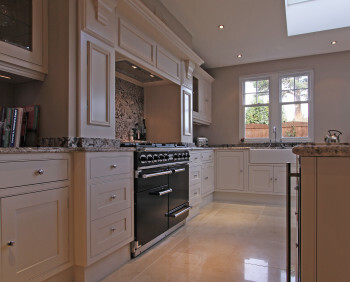 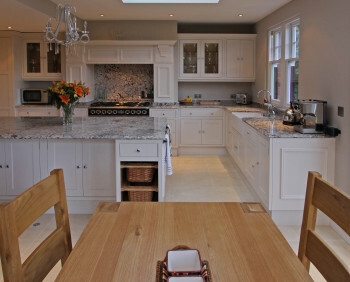 This open plan kitchen and entertaining space has proved such a hit that it is now the main family living space. 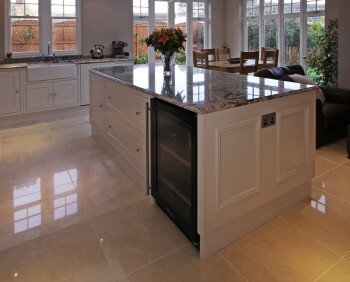 The polished marble tile floor is warm on bare feet thanks to underfloor heating. 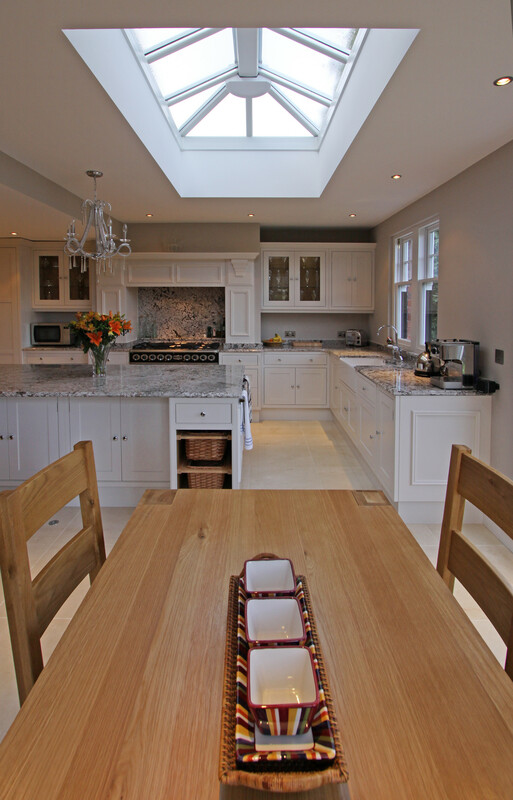 A roof lantern provides lots of natural light; important in a north facing room. 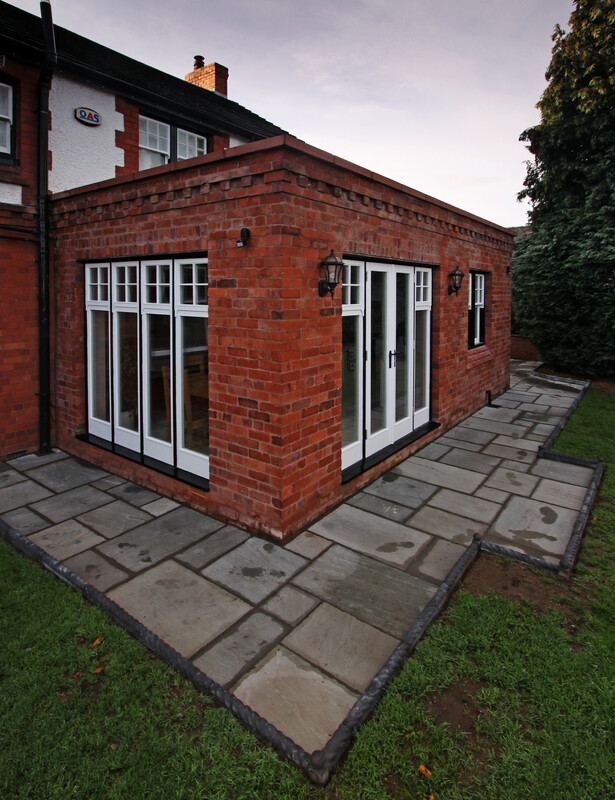 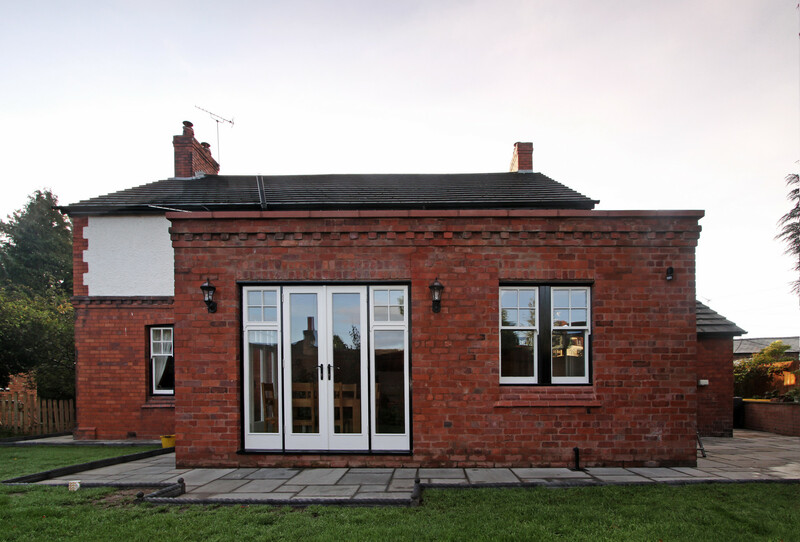 Carefully sourced reclaimed bricks, colour-matched mortar and handmade windows perfectly blend with the existing house. 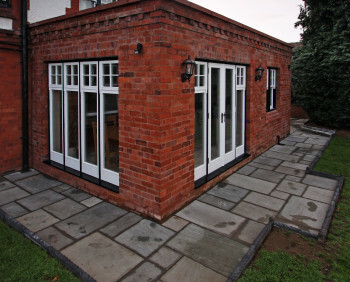 Along with the landscaping they ensure this build sits neatly between house and garden. 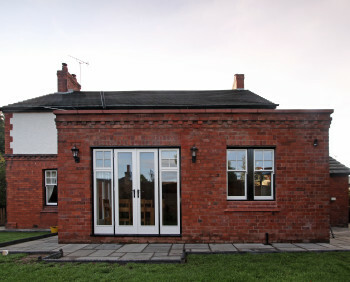 Read why the commissioning family is pleased with their build here.